In the digital age, high end consumers of luxury goods are looking for new shopping experiences. In response to these changing customer habits, the retail scene saw the emergence of new marketplaces during the past decade. Farfetch.com was one of them, created in 2008 by a Portuguese entrepreneur José Neves. Within ten years the marketplace grew into a global online high-end fashion platform that features more than 3,000 of independent multi-brand boutiques. Since 2008 the geographical outreach of Farfetch has expanded across 190 countries, making a platform an indispensable global meeting point that allows distributors to get access to premium fashion customers, and niche designers to have a huge online storefront window. Listed on the New York Stock Exchange since September 2018 and valued at around $6.2 billion (EUR 5.5 billion), the success of the European high-end fashion platform represents an undeniable proof of the importance of online business for luxury brands. While taking care of its customers, the platform revolutionizes e-Commerce and creates the shopping experience of the future. 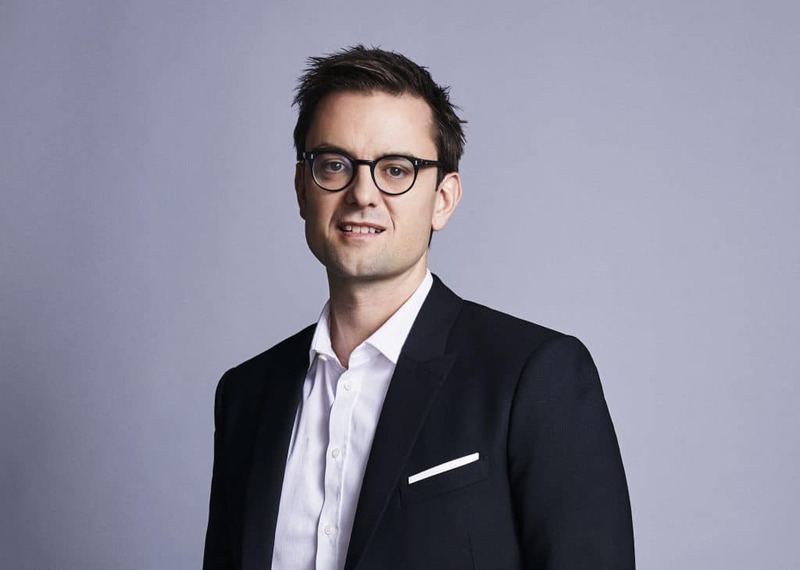 We recently interviewed Andrew Robb, Chief Operating Officer at Farfetch. Before joining Farfetch in June 2010, you founded and managed Cocosa.com, a premium fashion private sale business. As a Chief Operating Officer at Farfetch, can you describe your strategic mission in the company today? As a COO, my role is varied, but is mainly focused on overseeing all the activities Farfetch implements to grow its business from an operations point of view. A large part of my role has been dedicated to the company’s geographical expansion. Farfetch is a global business, so we have been expanding our footprint across markets including China, Japan, and Russia amongst others. For example, in 2017, we announced a large strategic investment from JD.com, the successful Chinese e- Commerce company, which has accelerated our development in this important market. I’m also responsible for getting great teams in place on the ground in all of the markets where we have a presence. Farfetch Marketplace is now the world’s top online luxury shopping destination, according to data from a web analytics firm Web Alexa. What makes Farfetch so successful? When our CEO José Neves launched Farfetch in 2008, technology had already revolutionized many industries, but not yet the luxury fashion. And we decided to make a try. Our approach is different to traditional e-Commerce or offline retailer. For instance, we do not buy any products, but instead, we aim to connect the world’s existing supply of luxury fashion with the demand anywhere in the world. We offer thus something unique to our customers: an ability to find fashion items that help them express their individuality, as we actually have more products than any other E-commerce fashion company! Our strong point consists in the fact we are not restricted by what we can buy each season. We can get that perfect item someone is looking for and deliver it to their door all around the world. We also offer incredible services, such as a 90-minute delivery which is available in 10 cities globally. Being an online Tech venture with a developmental mission, we have been able to help other companies, starting with boutiques and now the major fashion brands, to grow their businesses and reach an audience of dedicated fashion lovers globally. In addition to the Farfetch.com marketplace, we have also developed other services, including Store of the Future and Black & White that propose digital solutions such as website development support for brands and boutiques. In addition to you support for independent boutiques to have an online global exposure, Farfetch’s newly created project, “The Store of the Future”, aims to help them compete as physical stores in their home downtown area. Could you explain this new concept that connects technologies and physical stores to optimize customer experience in brick-and- mortar shops? Store of the Future aims to bring the best of the online world, e.g. recognition or data analytics that can empower personalisation, together with the best of the offline world, such as human interaction. This service is very bespoke: there is no one-size-fits-all implementation, as we build technology that can be adjusted according to the needs of each brand or boutique. The objective is to enable any retailer which uses the Store of the Future technology to provide a better, more personalised and more customer-friendly service, using data gathered from the online world and implemented into the physical retail environment.